Written and programmed 1991, recorded and released 2002 with all the original sounds. 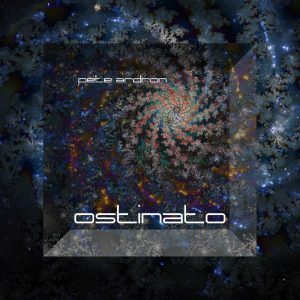 Ostinato (the Italian word for stubborn) is a term used for a repeated phrase in music – a core technique in each track here but repetition is important to the thematic material here too. The Wheel and The Ascent are comparisons of two spiritual dogmas – reincarnation and ascension. In The Wheel, as the music comes full circle to the original sounds it also moves on to a new level by switching from 3 to 4 beats per bar. In the Ascent the music gradually moves up key by key until, as it reaches its summit it finds itself back in its starting key.